We produce our unprocessed honey to be as pure as nature intended. Without blending or pasteurizing, we have maintained all the naturally occurring nutrients to ensure you are receiving nature's healthiest sweetener. 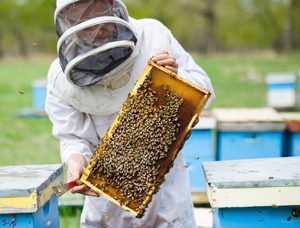 We collect all our honey in hives located in the clover-rich prairies of Southern Alberta, known to produce some of the world's finest honey. CFIA registered and inspected. We are True Source Certified, ethically and transparently sourced. Packed in new 55 gallon drums.